Top-plate holes: Do you want mounting holes in the top-plate? Hide your supports and spare your knees. 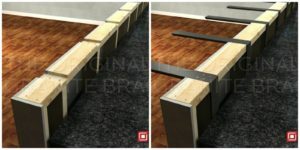 Check out the full line of hidden granite countertop supports. Several styles and surprisingly affordable.